Many people want to reduce their weight. The mixture of lemon water and jaggery is beneficial to reduce weight. Lemon contains acidic element that burns the calorie and improves digestion. Prepare mixture of lemonade with jaggery. It increases the weight loss process. Take one glass lukewarm water and squeeze one lemon. Then, mix one tablespoon jaggery in it. Drink this in every morning. 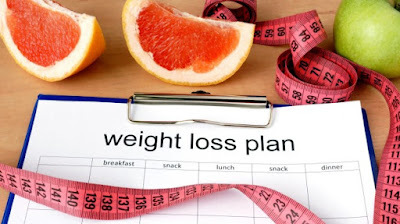 This increase metabolism and reduce weight. Benefits of Jaggery: Many people avoid direct use of sugar. Diabetes patient also avoid sugar products. However, the consumption of jaggery does not have bad effect on body. Jaggery does not have any artificial sweetener. Jaggery is beneficial to reduce weight. Dehydration: Research has shown that lemonade avoids dehydration. It is necessary to have water amount in the body. In this case, you can drink lemonade. Heart & Immunity: It contains vitamin C, which is very beneficial for heart. It also reduces the risk of stroke. It controls the blood pressure. This water protects our body from cold. Skin: The daily consumption of lemonade avoids dry skin and wrinkles. It happens as the body cannot remain dehydrated. Metabolism: Lemonade increases the metabolism and helps to reduce weight. It is also beneficial in digestion. Breath: Such people who face mouth odor they can drink lemonade. Lemon increase saliva in the mouth and mouth cannot become dry. Kidney Stone: Lemon avoids formation of kidney stone. It happens due to citric acid that broken the kidney stone.